KLANG: A 12-year-old child drowned after he fell into a lake in Bandar Puteri in Sentosa here today. In the incident, Tan Wei Xiang was found two hours after he was reported to have fallen into the lake at the recreational park while playing with his two friends at 4.50pm. Seri Andalas Fire and Rescue Department chief Senior Assistant Superintendent A Romzi Abu said the department received a call at 4.57pm before a team was deployed to the scene. 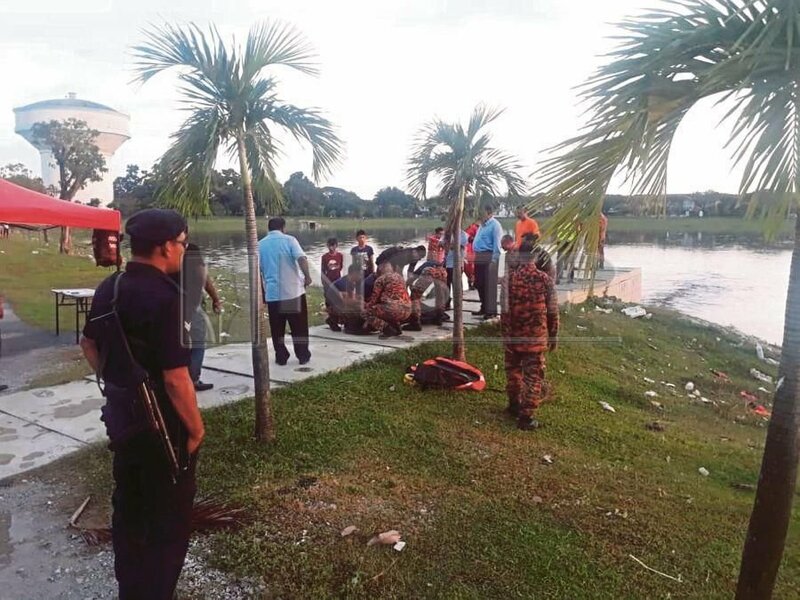 The operation was also assisted by Shah Alam and Port Klang Water Rescue Teams. “Our team made a thorough evaluation of the area before conducting the rescue operation. “The heavy waterways made it difficult even though the water was only at chest level, which is about 4ft. “The victim was found at 6.59pm and pronounced dead by assemblyman Dr G. Gunaraj who was also there at the location,” he said when contacted, adding that the victim was then handed over to the police before he was sent to Tengku Ampuan Rahimah Hospital.